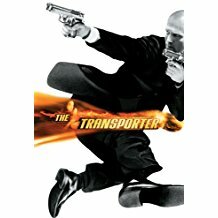 Frank Martin (Jason Statham) is a highly skilled driver known only as "The Transporter." He will transport anything, no questions asked, always on time, and he is known as the best in the business. He strictly follows three rules when transporting: Rule Number 1: "Once the deal is made, it is final", Rule Number 2: "No names", and Rule Number 3: "Never open the package." Frank inadvertently breaks his own rule, opens the package and finds a bound and gagged woman. Frank is working as the driver/chauffeur for a wealthy family, in the United States. Martin bonds with their young son, whom he drives to school every day. When the boy is kidnapped, Frank must again take action in order to protect his young "package" and his family. Eventually, Martin unravels a scheme involving biological weapons and the nefarious Gianni Chellini. Martin is forced to remove a bomb from the bottom of his car by executing an aerial corkscrew manoeuver underneath a crane. The crane catches the bomb and Martin escapes unharmed. Frank debuts the Audi A8 W12 in this film. Inspector Tarconi plays an even more prominent role in this film. It is established that he and Frank are now friends, and Tarconi goes as far as to lie to the police to cover for Frank. His cooking prowess is established as well. Frank has been pressured into transporting Valentina (Natalya Rudakova) the kidnapped daughter of Leonid Vasilev (Jeroen Krabbé), the head of the Environmental Protection Agency for Ukraine, from Marseille through Stuttgart and Budapest until he ends up in Odessa on the Black Sea. Along the way, with the help of Inspector Tarconi (François Berléand), Frank has to contend with the people who strong armed him to take the job, agents sent by Vasilev to intercept him, and the general non-cooperation of his passenger, whom he realises is the package mid-way through the film. Despite Valentina's cynical disposition and Frank's resistance to get involved, Frank and Valentina fall for each other, while escaping from one life-threatening situation after another. Martin again drives an armoured Audi A8 W12 in the film, as well as a BMX bicycle. Former special-operations mercenary Frank Martin is living a less perilous lifestyle than he had previously, transporting classified packages for questionable people. Then he took the contract from Anna following his three rules of no names, no questions and no renegotiations. According to the contract, he should be near the bank for her and her two packages. 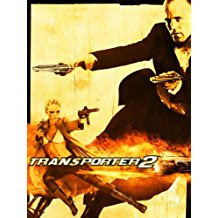 However, he finds himself thrust into danger again when Anna and her accomplices Gina, Maria, and Qiao orchestrate a bank robbery and kidnap Martin's father to confront and kill Arkady Karasov, a human trafficker who had victimized Anna years earlier. Anna's whole team robbed Arkady's friends and framed him for it.